For years I would read magazines and clip out all of the pictures of the things I loved and put them in a binder. Then Pinterest came along and revolutionized my binder of clippings. Even if it did make having a child’s birthday party turn into an extreme sport. Pinterest became a place where you might just realize you could put together cool outfits from your own closet, inspire amazing travel plans and get ideas for decorating rooms in such remarkable ways. 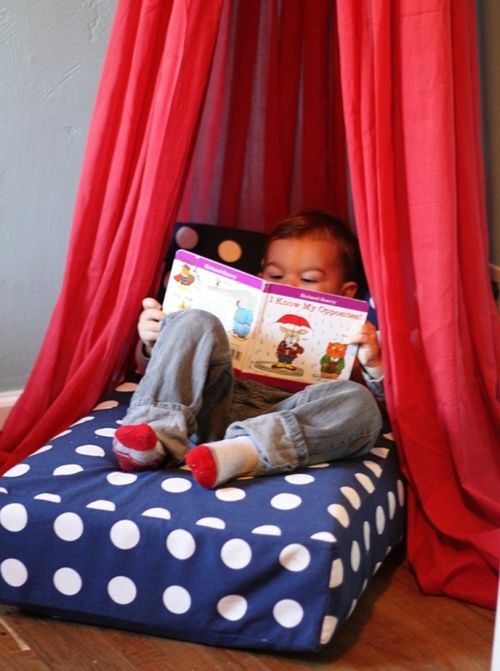 My daughter sleeps on a bunk bed and there is an open space underneath it, which we made into a book nook. 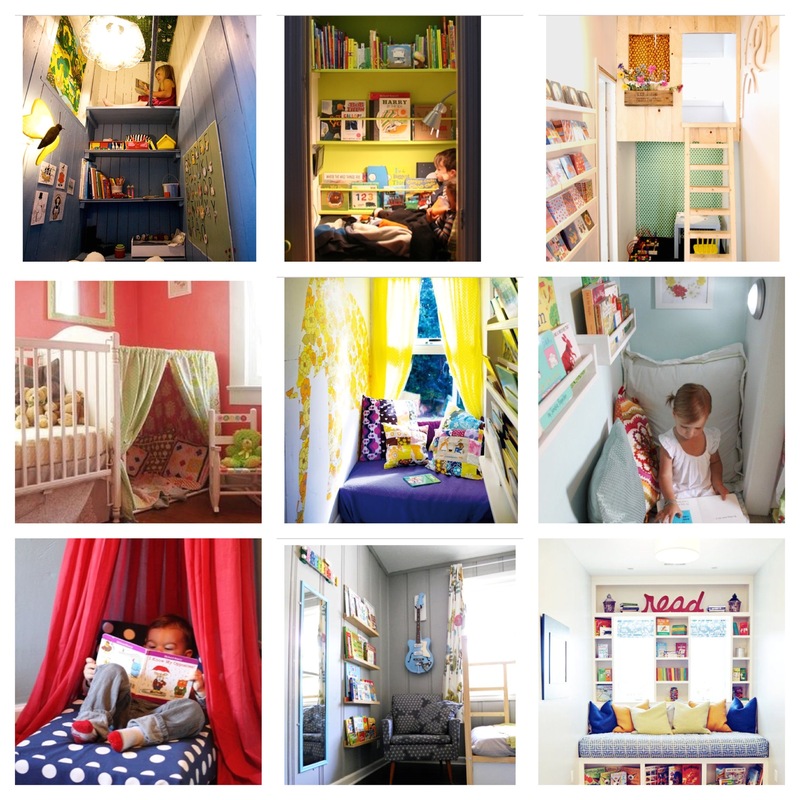 When we did this, I spent a ton of time on Pinterest looking at some of the incredibly amazing children’s book nooks. What we ended up with is a really cozy and comfortable space, but I would love to do a little more with this cute space. Since it’s no secret that I love books, you won’t be surprised by my deep love of book nooks, I am thinking about changing some things around in the petites and rounded up some awesome nook inspiration. These are all so amazing, I love how whimsical the first one is, I love the amazing light in the 5th nook. These nooks are so inspiring. Which one is your favorite? Please tell me in the comments below. ← A Hilarious Read: This Book Just Ate My Dog! Love this! Book nooks are my favorite. I’m trying to figure out how I can create one for Em when she is older. 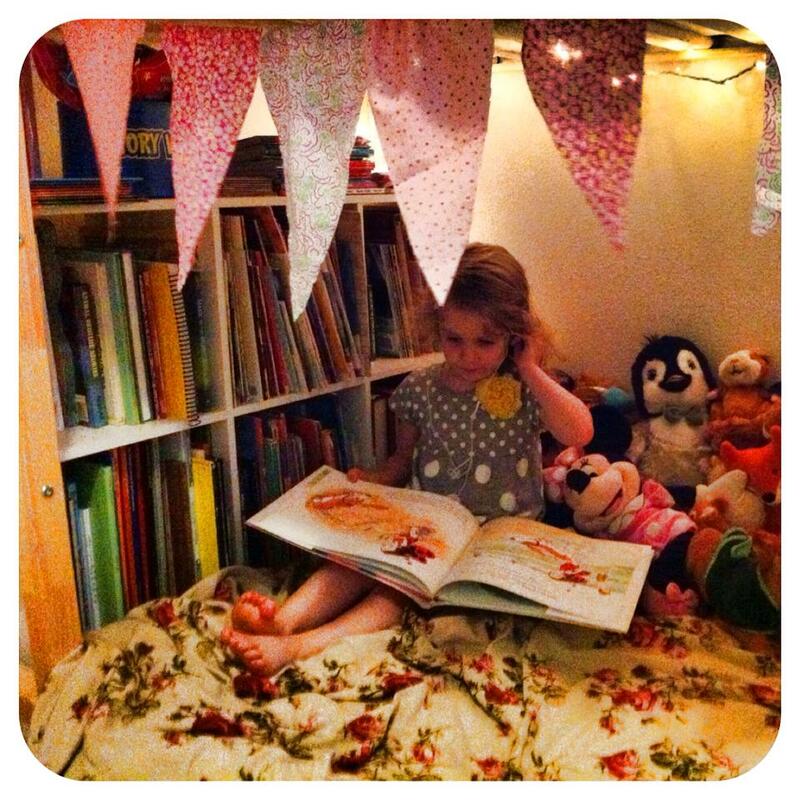 I love her nook–so cozy! I honestly love them all. I think no 3 is my fav though. I just want snuggle up with a good book in there right now! Great post! I know, how many nooks are too many nooks? Can each petite have their own? I love them all. no such thing as too many nooks!